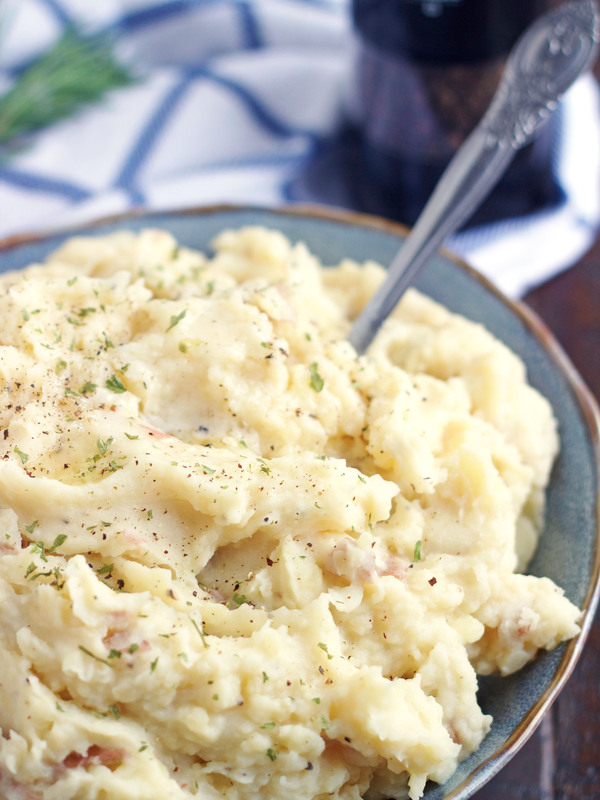 These Instant Pot Mashed Potatoes will quickly become your favorite. They’re quick, super simple and absolutely delicious. They are the perfect side dish for any weeknight dinner! Mashed potatoes are one the most favorite side dishes here at this house full of boys. Parker would eat them every single night if he could. Well, as long as there was gravy. 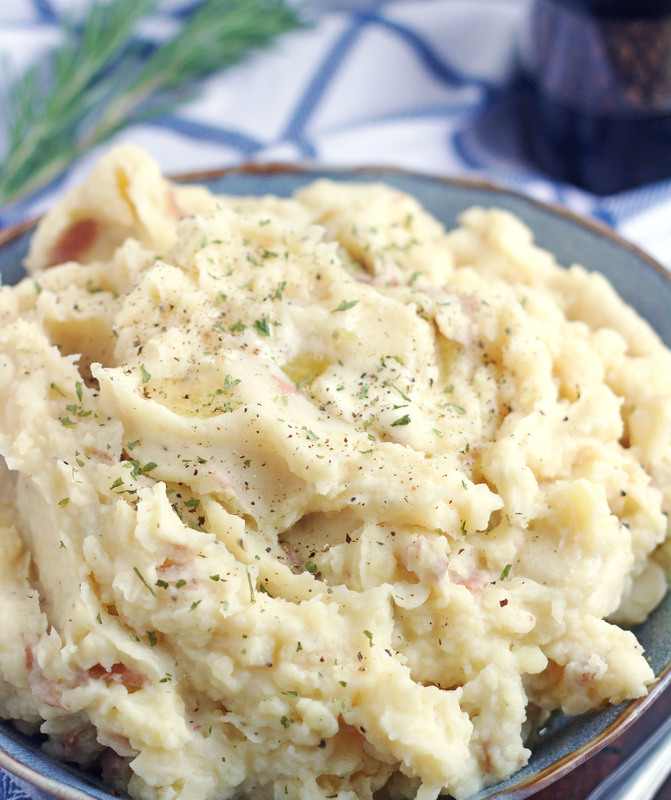 I’ve made these Instant Pot Mashed Red Potatoes several times over the last few weeks. They’ve been my go-to potato recipe and I don’t see myself stopping anytime soon. We can’t get enough of them. 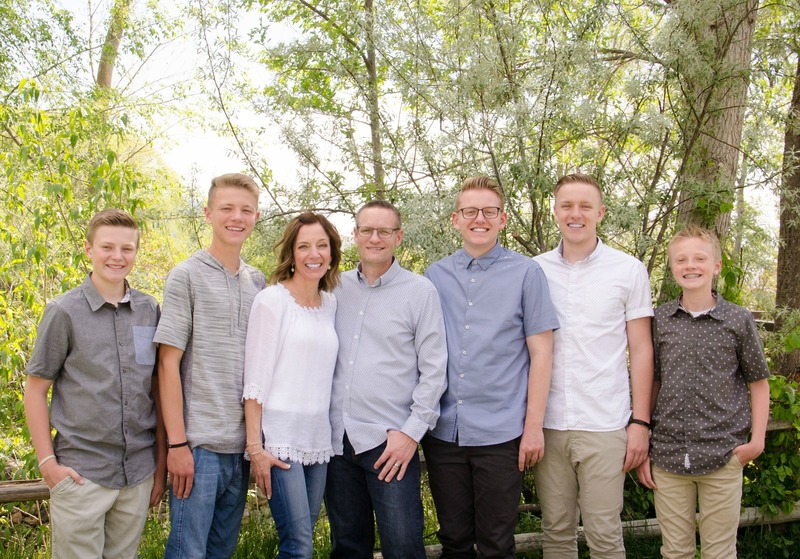 . . they’re so, so good. The only complaint I’ve gotten is from Parker and that’s only because there’s no gravy. Honestly, these are so good they don’t need any. Making mashed potatoes has never been quicker or easier. You scrub your potatoes, cut in them into cubes, pour some chicken broth on top and let your Instant Pot do the work. They’re done in under 20 minutes. These are creamy, flavorful and turn out perfectly every single time. They’re creamy, fluffy, and have the best flavor ever. If you love mashed potatoes, but don’t love the time they take to make, then these potatoes are going to become your new best friend. Scrub your potatoes and cut off any imperfections or eyes. I prefer to leave the skins on, but you can peel them at this point if you’d like. Cut them into 1 to 2-inch cubes, no bigger. Make sure you heat the milk mixture, this way your potatoes don’t get cooled off by pouring cold milk over them. Once these are made, you can leave them in your Instant Pot and turn it to warm. This is great because you can make them ahead of time and keep them warm. You can sprinkle these with chopped fresh chives if you’d like. You could make these with Yukon gold potatoes and they would be equally delicious. These Instant Pot Mashed Potatoes are a simple, quick and delicious side dish for any weeknight dinner! They are crazy delicious and taste amazing! Scrub the potatoes and cut into 1-inch to 2-inch cubes. Put the potatoes in the Instant Pot. Sprinkle the salt over the potatoes and pour in the chicken broth. Put the lid on, turn the valve to sealing, and set to manual, high pressure for 8 minutes. When the potatoes are done do a quick release. While the potatoes are cooking, combine garlic, half & half and butter in a glass measuring cup. Heat in microwave for about 60-75 seconds. Drain the potatoes, reserving any cooking liquid (there won't be a lot of liquid left). Pour the warmed half & half mixture over the potatoes (still in the IP). Use a a potato masher to break up to desired consistency (I like to leave a few small chunks in mine). If more liquid is needed, add the reserved cooking liquid. Season with salt & pepper to taste. Serve immediately or keep on warm setting until ready to serve. I prefer to leave the skin on the potatoes, but feel free to peel them. LEAVE A COMMENT BELOW IF YOU GIVE THIS A TRY! I WOULD LOVE TO HEAR WHAT YOU THINK. Tried this recipe tonight with regular old russetts and wow!! So good! So easy! My assignment for Thanksgiving is potatoes and I’m for sure cooking them in the IP! Thanks Jana! I’m so glad you loved them! You gotta love an Instant Pot! Happy Thanksgiving! Just told my sister in Florida about this! She was worried about making the potatoes for Thanksgiving. Hoping she gives these a try! !